Swimming Safari Swim School knows how important it is for children with special abilities to learn to swim and stay safe. 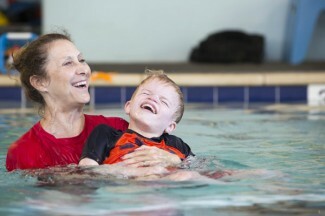 We offer swim lessons to all children no matter what their strengths or limitations are. 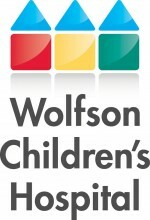 We are proud to have the opportunity to work with your child! Class Format: Once evaluated the student will be placed in either a group class consisting of students with a teacher or students and parents with a teacher. Length of Enrollment: Each student will be able to progress at his or her own pace. While some students will be able to swim across an entire lane, others will be working on survival skills. When reaching a certain level, children will be asked to join a regular class, which will encourage strengthening their skills & progression. Rylee enjoys each lesson! Thank you for helping to build her confidence in the water! The staff is great, patient with little ones.